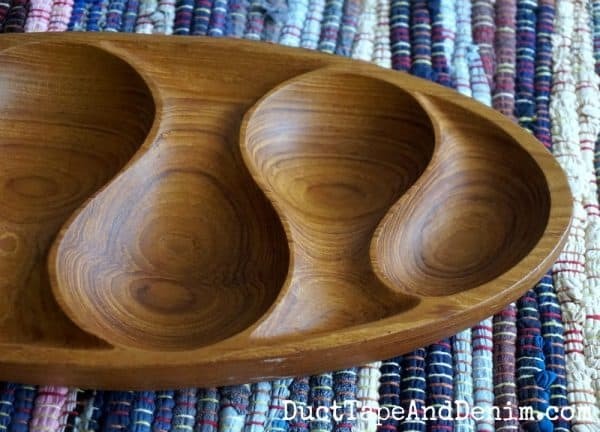 Do you see many wooden bowls when you’re out thrifting? I see them all. the. time. Usually they’re pretty scratched up and faded from years of use without the proper care. 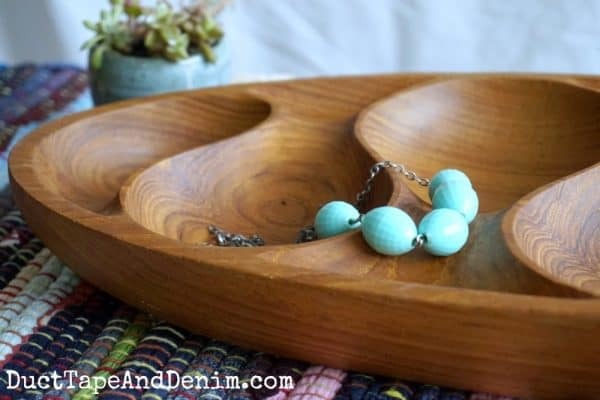 Today I’ll share an easy way to restore these thrift store bowls. old rags – I used my “paperless” towels for this project. Remove any dust or debris stuck to the bowl. Wash with hot soapy water. Yes, you can wash wood. But DO NOT soak it or leave it wet. Dry with a towel and leave to dry overnight. 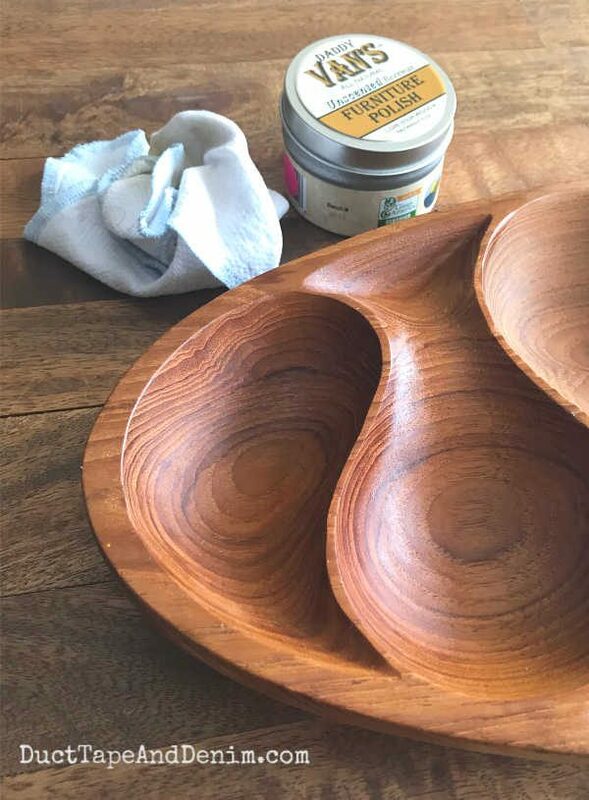 I’ve also heard of people scrubbing their wooden bowls with salt and lemon or rubbing them with mineral oil. One of my Facebook followers sent me this furniture polish and I am in love with it! You can see in this photo how different the left side looks from the right. You’ll be able to see the difference much better in this Facebook Live video that I did a few months ago. It’s amazing how much difference that furniture polish makes! This was one of the most unique wooden bowls that I’ve ever found while thrifting. And I’m so glad it didn’t have any major damage. It’s very thick and heavy. When I saw the $2.99 price tag on it, I grabbed it up quick! 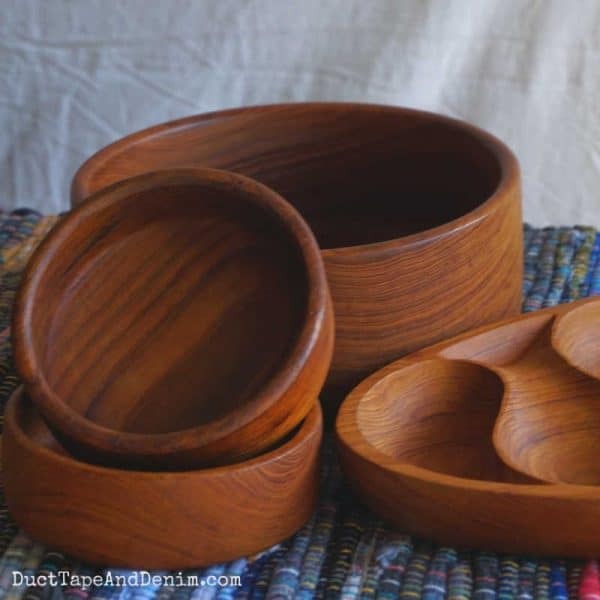 Now I want to go thrifting and buy more wooden bowls! Here’s another set of salad bowls that I restored with Daddy Van’s, too. Cherry Tomato, Avocado, and Corn Salsa Salad Recipe – a salad to go IN your newly restored wooden bowl! Thanks for reading! 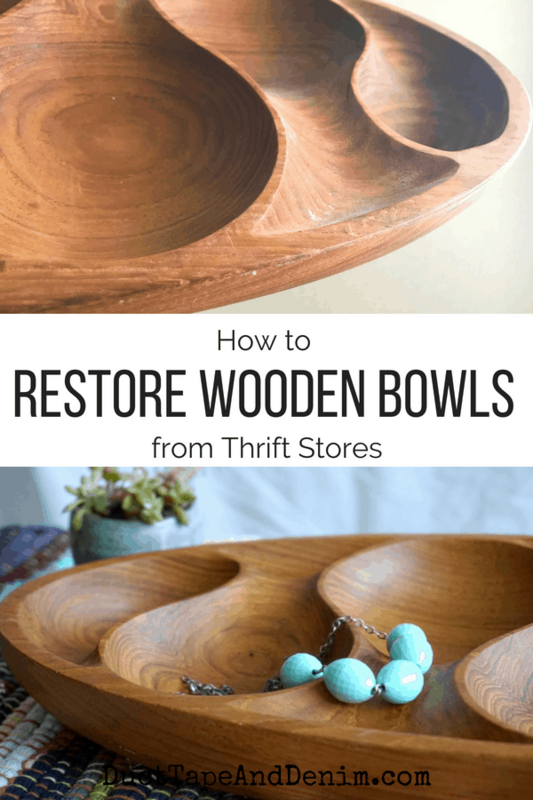 Leave me a comment and let me know if you buy wooden bowls at the thrift store. After using furniture polish, can the bowls be used for food? Barb, It depends on the furniture polish. Check the label and see if it’s food safe. Mineral oil is good for salad bowls/cutting boards as it is food safe. I just used Howard’s Wax and Feed (not sure of name) which does have petroleum products but the bowl looks like nuts/dry nibbles or catch all, not salads. Put a lovely sheen on it. I have several wooden bowls that I could use this information on! Thanks for sharing at Grandma’s House! Looks like a great product! The bowl looks wonderful. Thanks for sharing with SYC. The bowls polished up nicely! They look new again!